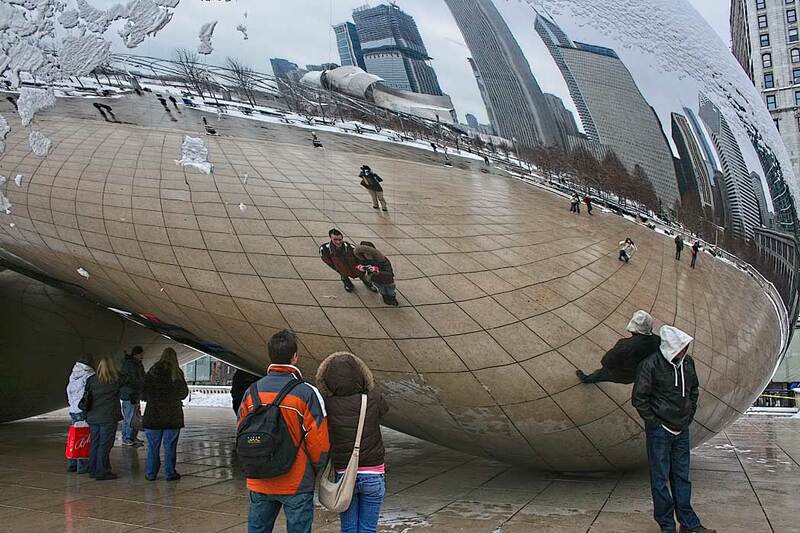 Visitors to Chicago are fascinated by the highly polished surface of “The Bean” sculpture in Millennium Park. The actual title of the piece by by British artist Sir Anish Kapoor is “Cloud Gate,” however from the moment it was installed, Chicagoan’s dubbed it “The Bean” for its resemblance to a coffee bean. Though most visit in spring, summer, or fall, the sculpture has an entirely different look when topped with fresh snow. Want to learn more about the art and architecture Chicago? You may enjoy my story about this walking tour of downtown Chicago offered by the Chicago Architecture Foundation.